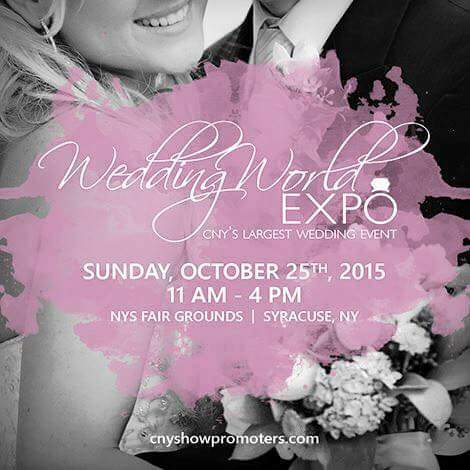 Salt City Sound Machine will be at the 2015 Wedding World Expo at the New York State Fair on October 25th from 11am to 4pm. Brides, grooms, and family members, this is your chance to check out all that Salt City Sound Machine has to offer, meet one-on-one with owner and DJ, Jason Paussa, and check out some of Syracuse’s best wedding vendors. And entry is FREE! Salt City Sound Machine is giving away a $50 iTunes Gift Card with no purchase necessary as a door prize. Not to mention anyone who signs with us on the spot gets $100 off and a free T-Shirt.